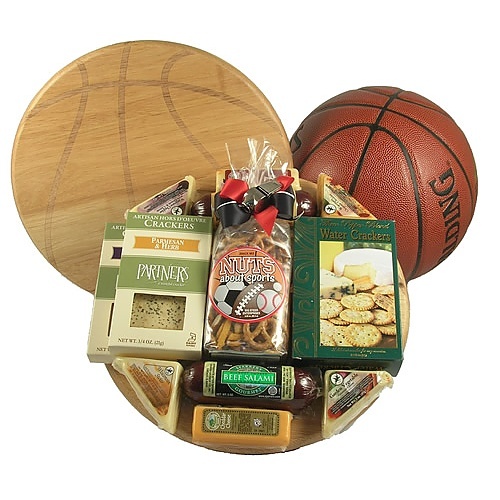 Score big with this slam dunk deluxe basketball gift basket, loaded with a host of game day favorites! Take your game day party to a whole new level with this handsome and practical cutting board. Constructed of eco-friendly bamboo it features a classic basketball pattern. The board is generously sized for cutting and serving needs measuring 12" Dia x 3/4"H.